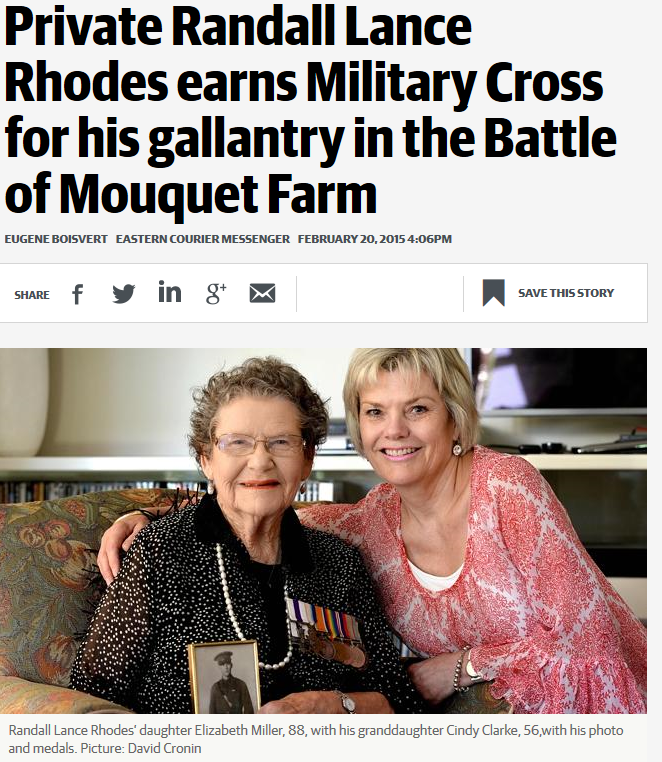 This site is about Randall Lance Rhodes, from Norwood, South Australia. His experiences through World War 1 in particular are conveyed through the letters he wrote home to his family, which are listed on this site. Lance, as he was known, left Australia on the HMAT Ascanius on Tuesday 20 October 1914. His letters home will be posted on this site in ‘real’ time exactly 100 years on. Born in 1893 on August 3, to parents Edward Henry Rhodes and Annie Eliza Kelly in Norwood, South Australia. He was a bank clerk before he enlisted for the army in August 1914, where he joined the 10th battalion Australian Imperial Forces (AIF). He departed Australia in October of that year aboard HMAT Ascanius to go to Egypt for field training. Lance fought in Turkey, Greece and France throughout the first world war with periods of training and convalescence in Egypt and England. He also served during the second world war and after its conclusion, until May 1949. He has been cited in various war history tomes and publications due to his extensive expertise and services for the Australian Army. The letters will be added gradually in ‘real’ time over 4 years. Lance died on June 15, 1959. Lance’s first letter is here. Congratulations on this site. I am researching the lacrosse matches played in Egypt in 1915, before the 10th Battalion men went to Gallipoli. Newspaper reports at the time were based on the letters Lance wrote home so, to find them transcribed here is a joy, thank you. Thanks so much for your interest and your compliments. Thanks also for sharing the links to those photos. Good luck with your research and do let us know if you publish it somewhere! Best wishes from The Rhodes Family.